California (Baby) Knows How to Party. Babystar has discovered the joys of BUBBLES! This kid used to totally freak out if her shampoo made accidental bubbles in her bath. She would immediately splash them away yelling ‘no bubbles no bubbles!’ But now she is FULL TODDLER and all about them bubbles. I think I can trace this back to her second birthday, when she received one of the greatest gifts ever, Naked by Micheal Ian Black. She loves this book, and the kid in the book has so many bubbles in his bath. So now she needs SO MANY BUBBLES in her bath. She also does the hokey pokey naked every night because of that book. That book has changed our life. For the better, obvs. The bubbles made by pumping the Honest Creamsicle soap directly into the water faucet stream were just not doing it for her anymore. NEED MORE BUBBLES. I bought some California Baby Bubble Bath. I fully intended to try a bunch of baby bubble bath potions until we found our favorite one but I really see no need to buy any other kind ever. What was I talking about? Oh. Right. Magic. California Baby has found the magic blend of essential oils to calm my toddler down at night. I mean, she still runs around naked for about twenty minutes (including Hokey Pokey time) but she’s happy about it and then she calms down quickly and happily puts on pajamas and gets ready for sleep. One night, after a particularly trying day, I got into the bath with her. It totally worked on me too. MAGIC. California Baby Bubble Bath is cruelty-free, gluten-free, soy-free, dairy-free, nut-free, and vegan. We have luckily passed Babystar’s gluten and dairy sensitivity stage, but some kids are sensitive or downright allergic. And yes, they will probably eat the bubbles. This bubble bath smells yummy — like a garden but not too flowery. AND YOU GUYS IT COMES WITH A BUBBLE WAND. What a genius idea! I realize you can probably adapt any bubble bath by simply cleaning a bubble wand and using it with your bubble bath, but I just love that California Baby thought of this for me. Because I did not think of it. By the time bath time gets here, I barely know my name. I love most things about the summertime. I love the longer days and the grilled dinners and the splashy water play time. I do not love the mosquitos. And ants and locusts and spiders and gnats and bees (ok I kind of love the bees in theory), but mostly the mosquitos. We like to use up all the sunshine and stay at the park until dusk which means walking back home during the Mosquito Happy Hour. Babystar was getting new bites every day. But also, chemicals. WHAT IS A GOOD HIPPIE MAMA TO DO? I’m still not sure, but I did buy some DEET-free bug repellent made up of a blend of essential oils. 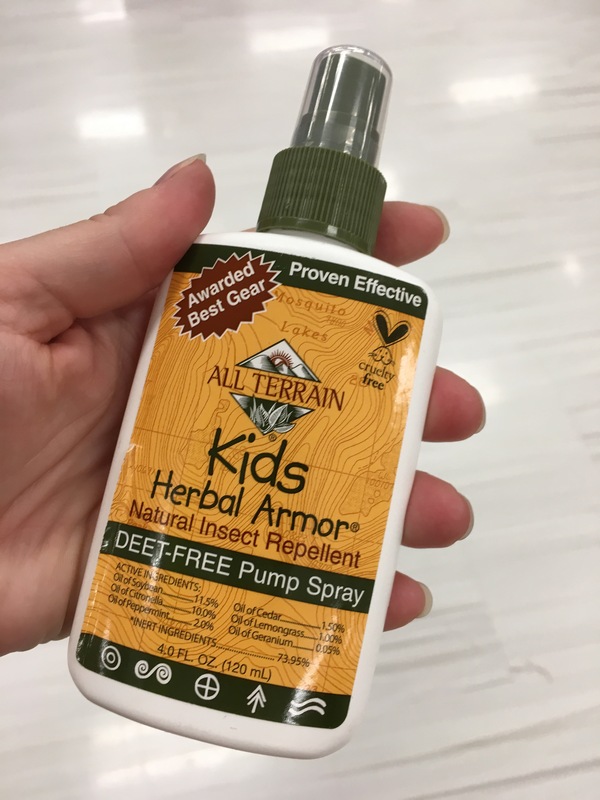 (Kid’s Herbal Armor Natural Insect Repellent $5.50.) It had KIDS and NATURAL right in the name. I don’t know what DEET is but it sounds bad. I don’t believe essential oils can cure illnesses but I do know that certain plants repel insects so it seemed legit. 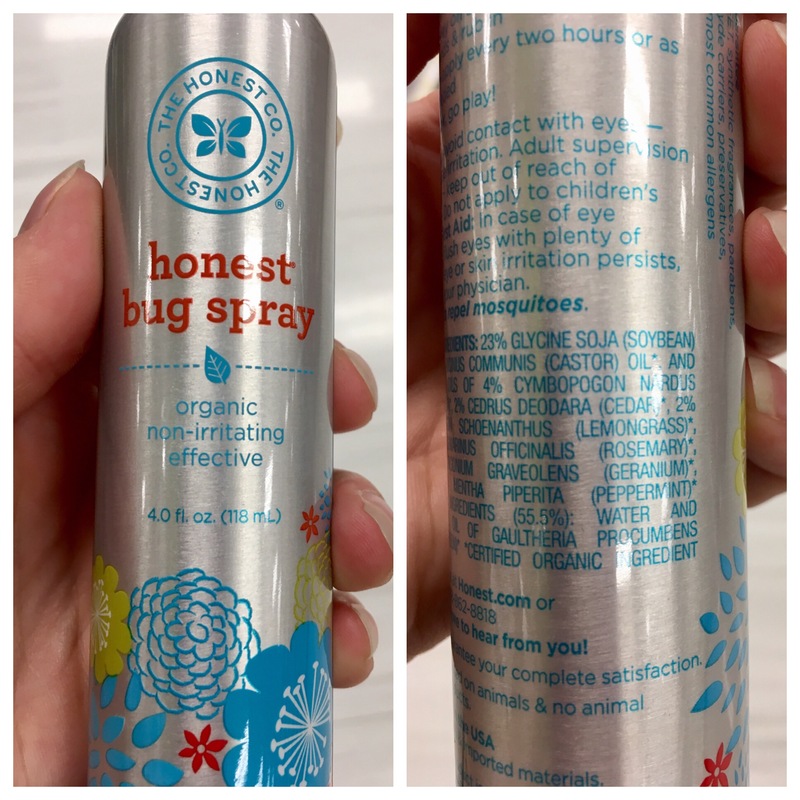 I really wasn’t sure what I was looking for but I compared the active ingredients at Target. The Kid’s Herbal Armor had a bunch of oils (citronella, lemongrass, peppermint, et cetera) that were almost identical to the Babyganics and Honest Company kid’s bug repellents. The first evening, I only rubbed the insect repellent on Babystar’s ankles, a popular hangout for Arlington mosquitoes. She has pretty sensitive skin and I wanted to make sure there was no reaction. She made it home with no rash and zero bites on her legs! Those fuckers bit her arm instead. The next night, I used the Herbal Armor on her legs AND arms. She was bite-free! I have been keeping her arms and legs coated and it is still working. I don’t put it near her face at all but I do a little swipe behind her neck, and she usually has a hat on for extra protection. I highly recommend this natural bug repellent. 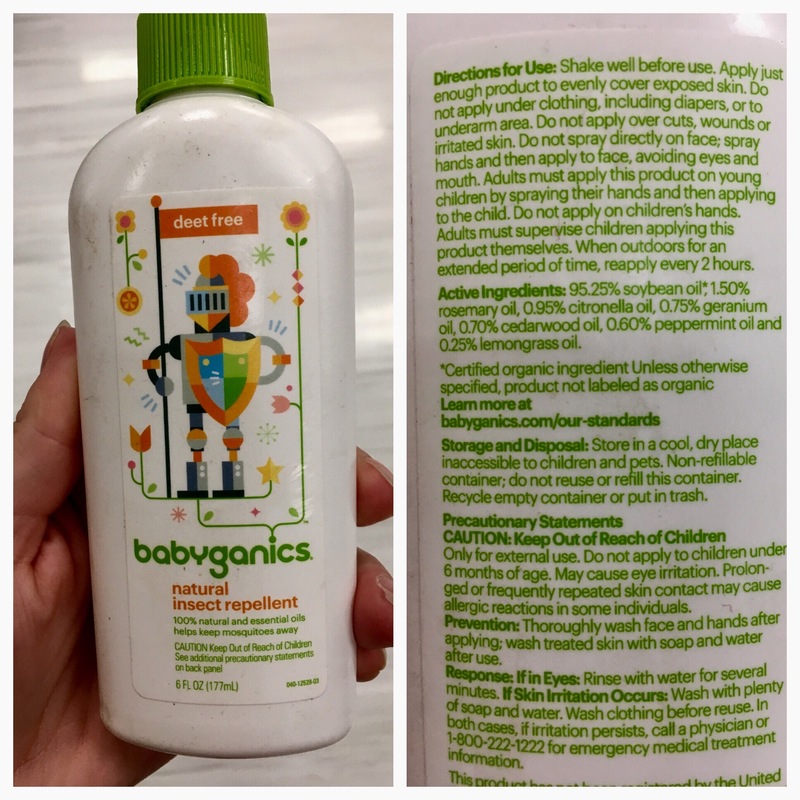 Probably the Babyganics and/or Honest ones are good too, since the active ingredients are almost identical. But I have not tried them so I cannot say for sure. What kind of bug repellent do you use for your kids or yourself?